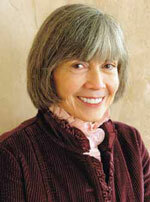 Imagining Jesus: Anne Rice discusses the hidden life of Christ. Known for decades as the best-selling author of erotically charged vampire novels, Anne Rice spent nearly 40 years as a “card carrying atheist” before returning to the Catholic Church in 1998. Having sold more than 100 million books worldwide, Rice ultimately decided to leave “the undead” behind and devote her work exclusively to Christ. She envisioned a four-part “autobiography” of Jesus and began the exhausting process of researching the work of countless Scripture scholars. The first book in the series, Christ the Lord: Out of Egypt, was released in 2005. The interview below took place at Rice’s home in Rancho Mirage, Calif., just before the release of Christ the Lord: The Road to Cana. Most of your new novel, Christ the Lord: The Road to Cana, deals with the time just before Jesus begins his public ministry. There is scant scriptural material, so you fill out an entire world with extended family, tensions and even the loves he has. What inspired you? As a writer I’m taking the Bible completely seriously. I’m seeing Jesus as a man growing up in Nazareth; he’s a man people whisper about. I mean, angels came at his birth, his mother was a virgin—that’s bound to make talk in a town like Bethlehem. So I had to imagine, what is it like for him as the years pass and nothing happens? Nobody knows, really, what’s going to happen. The family all remember the shepherds and magi but they’re getting a little anxious. What is that like for him? How did he answer them? How did he remain patient when people would challenge him about that sort of thing? And what was day-to-day life like for a carpenter? We also hear in the Gospels that he marveled at the unbelief of people, that he got angry at various times. And we know when he goes into the passion that he prays in Gethsemane with tears and lamentation. So I felt like there was a lot of scriptural warrant to imagine that he had put aside his omniscience and was experiencing things day-to-day. What was it like? I thought, well, it’s got to be extremely lonely. A friend had suggested this to me years ago, Amy Troxler. She said, “Think how alone he must have been.” I wanted to get just the end of those Nazareth years, right before the baptism in the Jordan, and capture a sense of what they had been like for him, how hard. Also he is giving up any question of getting married; he’s giving up intimacy…. What is that like for him? We know our Lord was a man. We forget sometimes that he is still a man…that he is human and divine; that is his mysterious nature. What’s it like for him to know he’s never going to know the warmth of a wife, never going to know that companionship? I guess the origin of the first half of the book is trying to imagine what that’s like. And this firm belief in everything in the Bible is what gave me the framework. You’re self-taught as far as the Bible goes. Are some Scripture scholars engaging you and taking issue with what you’ve written? Definitely. But their books are helping me, too: Craig Keener and Donald Carson, two great Protestant scholars, and many Catholic scholars like Raymond Brown and John Meier and the theologians, [like] Karl Rahner—I can read just a few lines of him and it will open up Scripture for me. In the first half of the novel, Jesus knows he’s not to be married, yet he has a deep love for a young woman in Nazareth named Avigail. That’s territory Nikos Kazantzakis and others have covered in novels. Did you feel nervous writing on a controversial topic like that? Oh sure; I was walking a fine line. One friend called me after he read the early draft of it and he said: “I read this book afraid that with each page I might have to throw it in the trash can. And then I got through it and I thought it was wonderful.” I wrote it aware that I was walking a very fine line, but I believe that Jesus’ humanity is just as important as his divinity—otherwise he wouldn’t have come down here for over 30 years. And so, yes, he loves Avigail, but he loves all of the people in Nazareth. He explains this to his mother: he is not in love with Avigail. He loves her, yes. If he was going to marry, Avigail would probably be the person, and he has to give up that intimacy. But there’s no lusting after Avigail. Was it tough to stay away from that sense of his sexual desires? Sure. But I was determined to stay within the biblical framework. We know that he is sinless: this is what we believe. That was the challenge: can you write a realistic novel about a vital character who is God and man, and be absolutely true to the creeds and to the Bible? I am trying to do that. There’s probably no other character or person in history that you could write something about as difficult as Jesus. It is extremely difficult—certainly the most thrilling challenge I’ve ever faced. A lot of prayer, a lot of meditation and a lot of fear is involved as I approach this material. The challenge was to make a story there, a sub-story even—what went on in the village? How does this sinless man, who is God, how does he respond with compassion to people in the village who insult him? To view the video of Bill McGarveys interview with Anne Rice, click here. This article also appeared in print, under the headline "Imagining Jesus," in the May 26, 2008 issue.